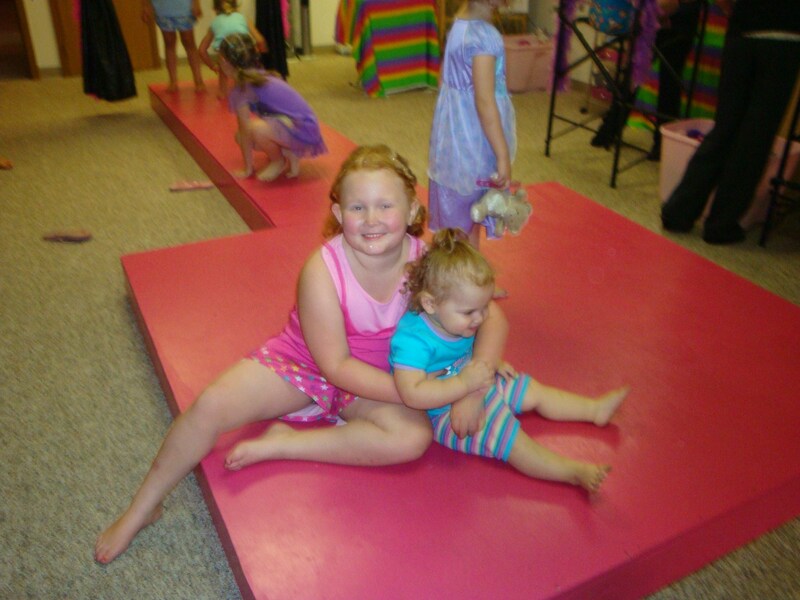 A few months ago a new little shop opened up in out town, and everyday on their way to school Pyper would yell to Chad ….”PINKALICIOUS!” So when she got home the first night after seeing this store I jumped online to see what it was all about. 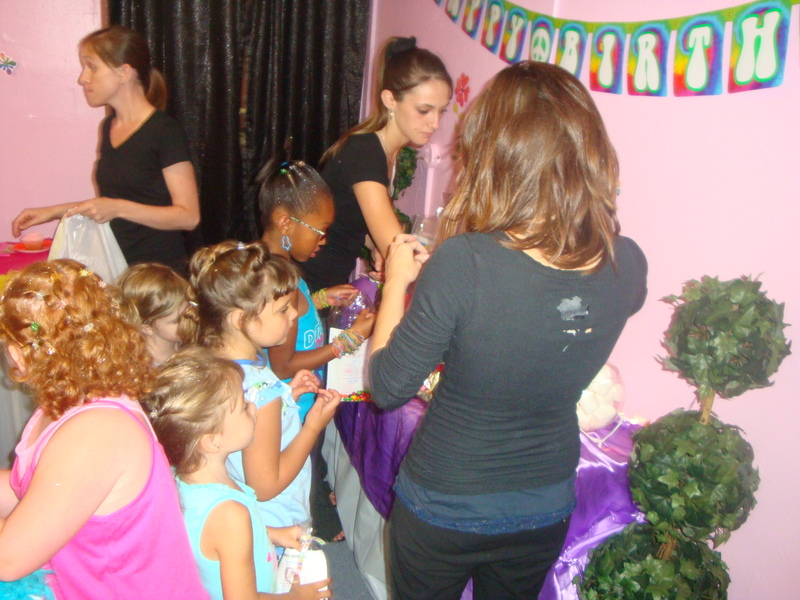 The store was so new the website was not quite finished but we saw that they did birthday parties and this is where she wanted hers. No other friend had one there yet so we thought it would be fun and new! So the day of her graduation from Kindergarten we ran down to get the prices. Not too too bad I thought I spent more on the Rock Star Party than if we paid for this one three times! and no house to clean up after wards. 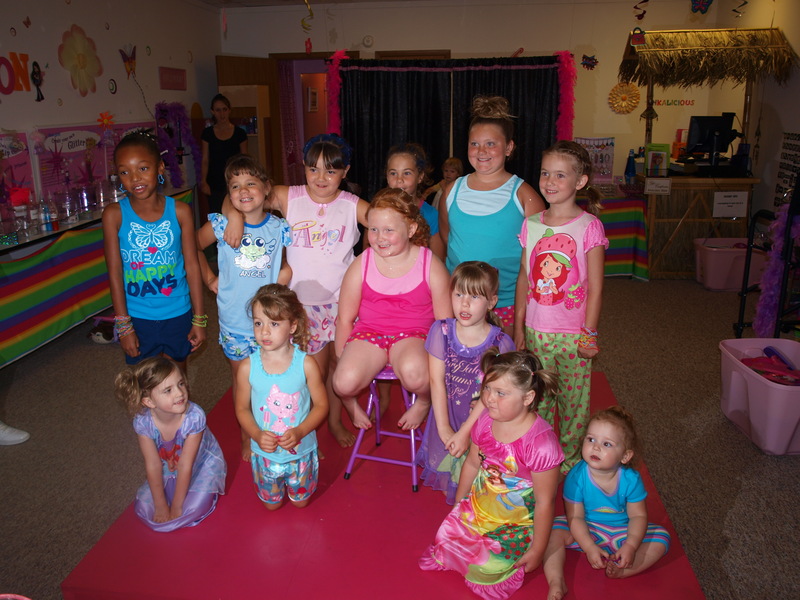 So we booked her party and invite every little girl she knew. Let the fun begin! Pinkalicious is all yours! We close the doors for you and your entourage. Come dressed in your fave jammies and bring your fave sleeping bag and get ready for a fun-filled 2 hours. We start this party up with your choice of party up-dos. 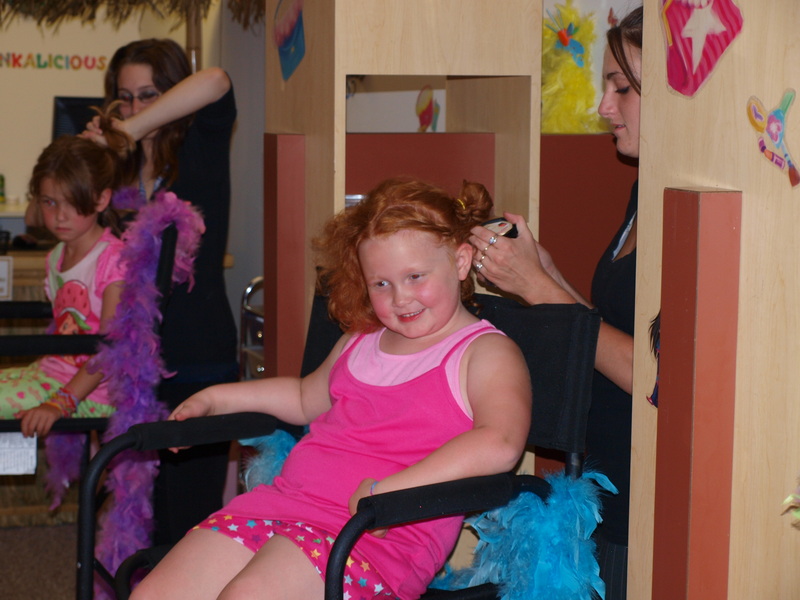 Then we head over to the sparkle spa for mini facials and a dab of color on your nails and toes! You choose the music and we’ll sing the night away with lots of dancing and games! 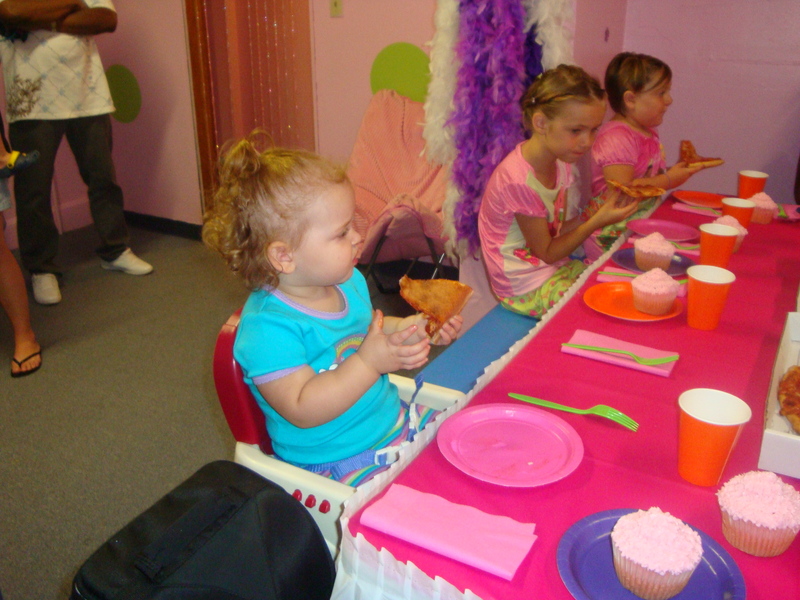 We provide our signature jumbo cupcakes, beverage and party products! 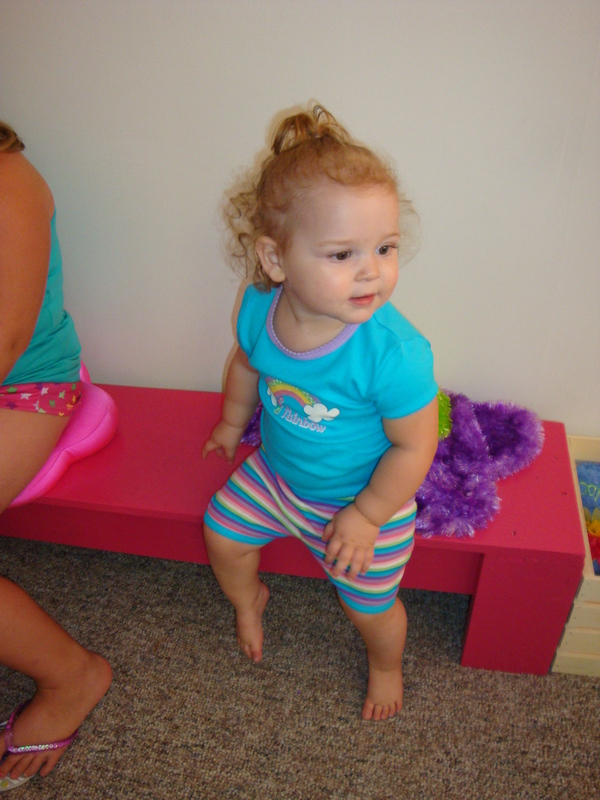 Picking out her finger nail color and patiently waiting her turn…. Then the toes! Oh the toes she was really excited about this one (can’t you tell LOL) …..
they even tried to do Phoebe’s toes but she was too fast for them! 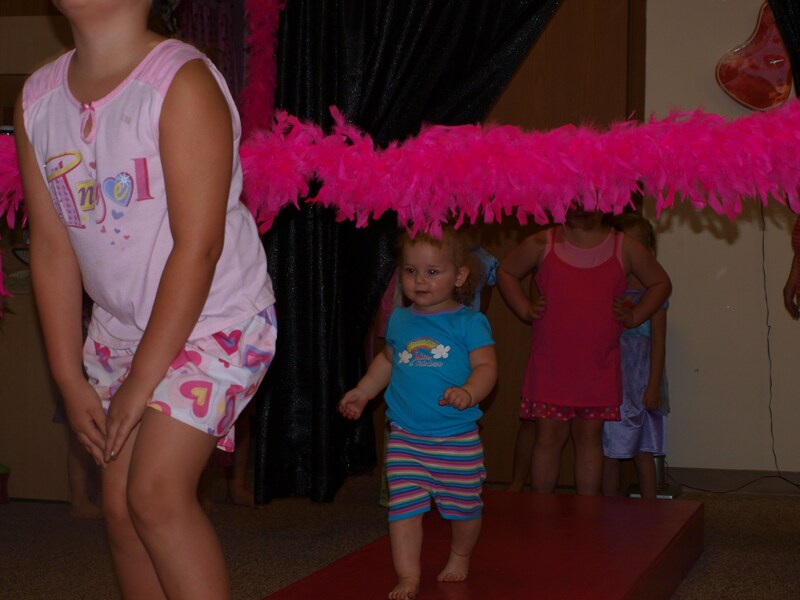 The girls loved the run way….made sure to pose and everything. Oh the karaoke! 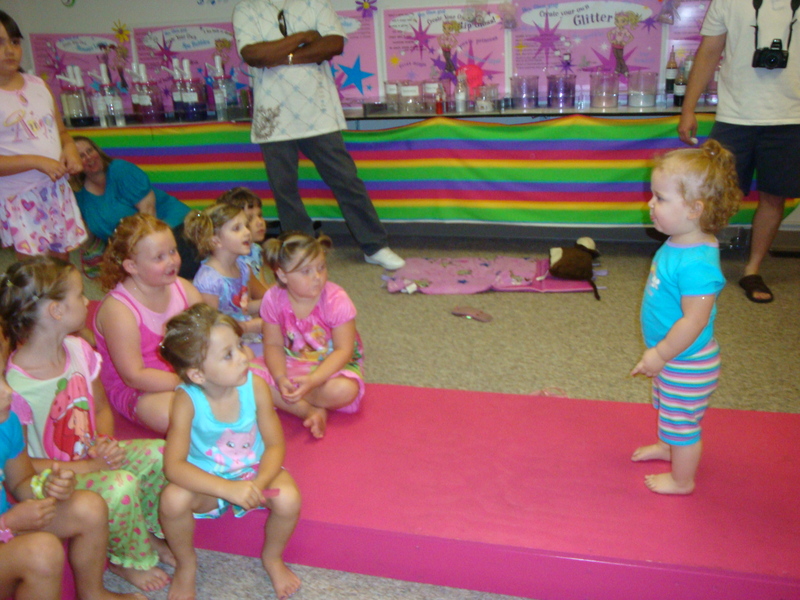 Some of those little ones were really getting into that microphone! Sadly the oldest peas chose to be an audience member BUT the littlest peas started her comedic career when she jump up on the stage in front of everyone and did a raspberry when no one would clap for her now that brought on the cheers! (-:! Group photo time each pf the girls got a pic to take home, sadly they were terrible all dark and heads were cut off good thing Chad and I took some too! 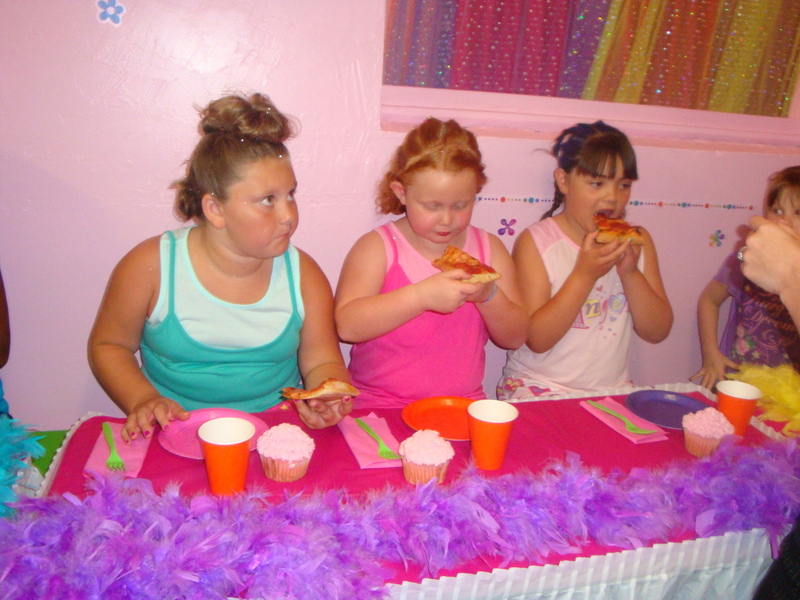 Once the big picture was taken the girls got to go to the back where the pizza and Pinkalicious’s famous BIG cupcakes were! Everyone enjoyed the pizza it was from the same place we went to after Py’s kindergarten graduation we LOVE that pizza Grandstand Pizza downtown GC! The cupcakes were PINK ! She blew out the candle so fast the first time they lit it again so I could take a picture! 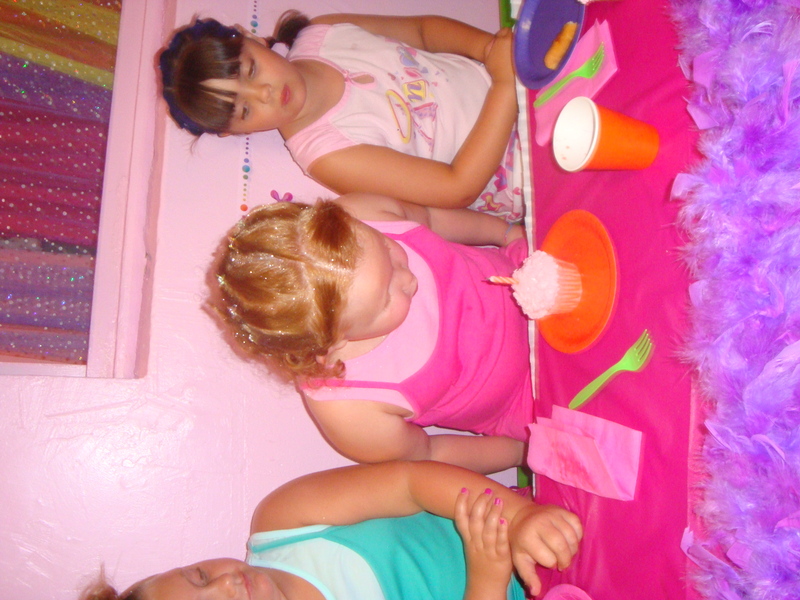 When some of the parents got there we still weren’t finished so we invited little Max for a cupcake too….do you see that look on Phoebe’s face wondering how the “boy” got in here! One last shot before we leave the shop of the two peas. I believe all the girls had a great time and I know Py wants to go back! So here’s to another great party….. HAPPY 6TH BIRTHDAY TO MY VERY FIRST PEA! Looks like they had a blast! Maybe when we come up we can take the kids there too. Do they do that without it being a party? Yes they do ! and yes we should! HI. I love your posting! My name is Erinn Dersom. 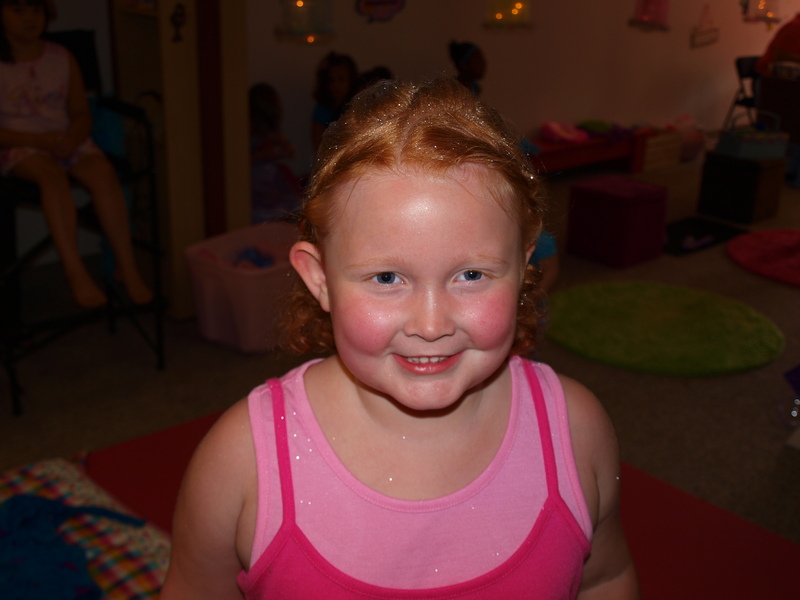 I am one of the owners and the Marketing Director for Pinkalicious Parties. 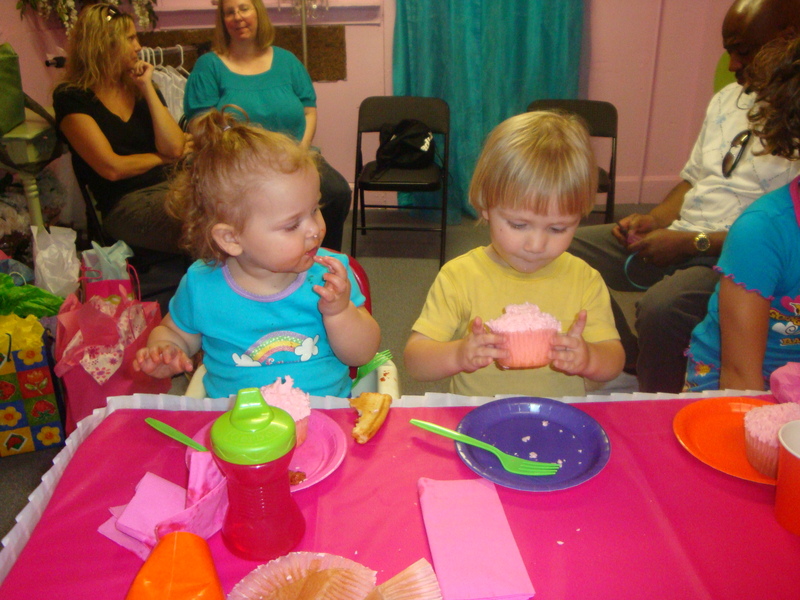 We are so thrilled that your 2 peas celebrated their parties with us! Please be sure to come back and visit us soon. 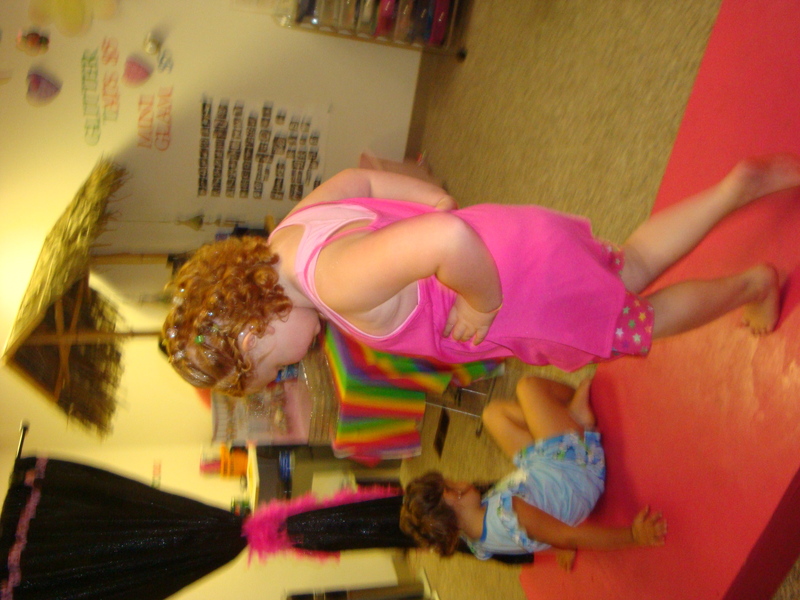 We are adding lots of new fun and exciting things to Pinkalicious every day and can’t wait to share them with you! We will look forward to seeing you soon! Thank you Erinn, we are actually coming down this week to look at the dance wear rack!